In this week’s podcast, our Creative Learning Dance Artist, Sarah Greene, and Dance Trainee, Alex McCrossan, talks to members of Shaper/Caper's Youth Advisory Council called The Body. The Body have, once again, been creating their own works of art inspired by Shaper/Caper’s productions and project. For this episode, The Body members have created work inspired by our interactive show for under 5’s, Paper Moon. The works they are talking about can be found on our website. You can listen to the podcast below. Check out the two films below which are discussed in the podcast by their creators. Am I lonesome? Or am I alone? Wait... is that her? To save me from this moon? To save bed time for later. And it’s all so bright. I try to smile but I am so full of fear. I am not crazy, or silly to be scared. I am currently working on a collaboration piece as part of my HND course at SSCD. 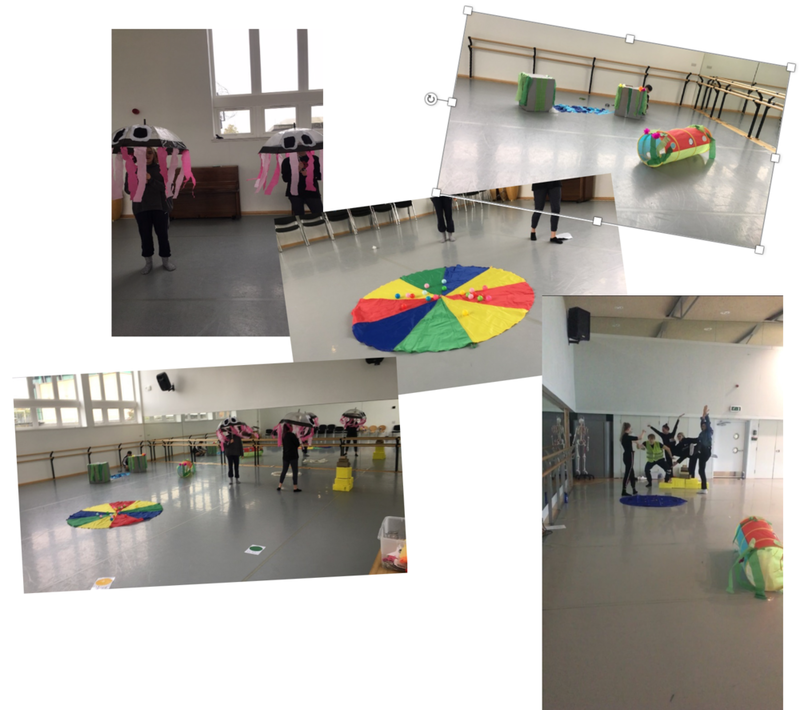 I was inspired by Shaper/Caper’s ‘Day to Play’ and their most recent and current piece ‘Paper Moon’, an interactive piece aimed for under 5’s. These pieces encouraged me to work with a collaborator, Elsie Woolnough, who is an applied theatre artist and actor. Together we have created a piece that is interactive for children, ages 305, 7-11 or can be easily adapted for those with additional needs. We focused on incorporating sensory, drama and dance. Our piece follows the story of Simon the Starfish’s Adventure to find his way home. He crossing the busy city of Dundee, the Egyptian Dessert, passes through the jungle before diving underwater where he is faced with the dangerous Jellyfish maze. Note: Lesley used this inspiration to inform her work as part of her course work at Scottish School of Contemporary Dance at D&A College.